Law Web: Whether accused is liable to pay compensation even if he has undergone default sentence in cheque dishonour case? Whether accused is liable to pay compensation even if he has undergone default sentence in cheque dishonour case? These two judgments make it clear that the deeming fiction of Section 431 Cr.P.C. extends not only to Section 421, but also to Section 64 of the Indian Penal Code. This being the case, Section 70 IPC, which is the last in the group of Sections dealing with sentence of imprisonment for non- payment of fine must also be included as applying directly to compensation under Section 357(3) as well. The position in law now becomes clear. The deeming provision in Section 431 will apply to Section 421(1) as well, despite the fact that the last part of the proviso to Section 421(1) makes a reference only to an order for payment of expenses or compensation out of a fine, which would necessarily refer only to Section 357(1)and not 357(3). Despite this being so, so long as compensation has been directed to be paid, albeit under Section 357(3), Section 431, Section 70 IPC and Section 421(1) proviso would make it clear that by a legal fiction, even though a default sentence has been suffered, yet, compensation would be recoverable in the manner provided under Section 421(1). This would, however, be without the necessity for recording any special reasons. This is because Section 421(1) proviso contains the disjunctive “or” following the recommendation of the Law Commission, that the proviso to old Section 386(1) should not be a bar to the issue of a warrant for levy of fine, even when a sentence of imprisonment for default has been fully undergone. The last part inserted into the proviso to Section 421(1) as a result of this recommendation of the Law Commission is a category by itself which applies to compensation payable out of a fine under Section 357(1) and, by applying the fiction contained in Section 431, to compensation payable under Section 357(3). 4. The accused challenged the aforesaid judgment before the Court of Sessions, and the Appellate Court, by an order dated 27th April, 2006, confirmed the conviction, but reduced the sentence to imprisonment till rising of the Court. The order to pay compensation with the default clause was, however, sustained. The accused underwent imprisonment till the rising of the Court and also underwent the default sentence for non-payment of compensation. The second respondent filed CMP No.2018 of 2008 before the learned Judicial Magistrate under Section 421 of the Criminal Procedure Code for realising compensation by issuing a distress warrant against the accused. This CMP was allowed on 19th July, 2008, and a distress warrant for the realisation of compensation was issued. A recalling petition filed by the accused was dismissed on 29th March, 2011. The High Court, by the impugned judgment dated 8th August, 2012, held that despite the fact that the default sentence was undergone, yet, under the provisions of the Code of Criminal Procedure, compensation was recoverable, and upheld the orders of the learned Judicial Magistrate. 5. Shri Siddharth Dave, learned counsel appearing on behalf of the Appellant, has argued before us that an accused who is directed to pay fine, or undergo sentence of which fine forms a part, and from which compensation is to be paid, then a court would proceed against the accused in the manner provided under Section 421 even though he may have undergone the default sentence awarded to him. However, if the sentence is of fine or sentence of which fine forms a part and there is no order of payment of compensation from the fine imposed, the court would have to record special reasons in writing before proceeding against the accused under Section 421. Likewise, compensation under Section 357(3) would be covered by the proviso if the accused has undergone the default sentence awarded and special reasons in writing would have to be recorded before action under Section 421 can be initiated. As in the present case, at the time of issuance of warrant, the Magistrate did not record special reasons in writing for proceeding against the accused person, the Division Bench judgment ought to be set aside. (5) At the time of awarding compensation in any subsequent civil suit relating to the same matter, the Court shall take into account any sum paid or recovered as compensation under this section.” It is important to note that sub-section (3) is a new provision which did not exist in the old Criminal Procedure Code. Provided that, if the sentence directs that in default of payment of the fine the offender shall be imprisoned, and if such offender has undergone the whole of such imprisonment in default, no Court shall issue such warrant unless for special reasons to be recorded in writing it considers it necessary to do so. Provided that, if the sentence directs that in default of payment of the fine, the offender shall be imprisoned, and if such offender has undergone the whole of such imprisonment in default, no Court shall issue such warrant unless, for special reasons to be recorded in writing, it considers it necessary so to do, or unless it has made an order for the payment of expenses or compensation out of the fine under section 357. 10. It may be noticed that the last part of the proviso to sub-section (1), namely, “or unless it has made an order for the payment of expenses or compensation out of the fine under Section 357” has been added to the proviso for the first time. This was done pursuant to the 41st Law Commission Report, which will be referred to a little later. Provided that section 421 shall, in its application to an order under section 359, by virtue of this section, be construed as if in the proviso to sub-section (1) of section 421, after the words and figures "under section 357", the words and figures "or an order for payment of costs under section 359" had been inserted.” From this provision, it is clear that a deeming fiction is enacted, viz., that any money other than a fine, (which would include compensation payable under Section 357(3) Cr.P.C.) the method of recovery of which is not expressly provided for, shall be recoverable as if it was a fine. One of the bones of contention in these appeals is the effect of the deeming fiction under Section 431. (b) issue a warrant to the Collector of the District authorising him to realise the amount by execution according to civil process against the movable or immovable property, or both, of the defaulter. 18. A Single Judge of the Kerala High Court in Saji Kumar vs. Soman Pillai, 2006 (3)KLT 679, set out Section 421 of the Code of Criminal Procedure and held that the fiction contained in Section 431 Cr.P.C. must be extended logically until its object is accomplished. A non-fine must be deemed to be a fine for the purpose of recovery, and until recovery is complete, the fiction must continue. Having so held, the learned Judge stated that the proviso to Section 421(1) would apply not merely to Section 357(1), but also to Section 357(3) and this being so, held that despite the fact that the default sentence had been undergone, compensation underSection 357(3) is recoverable. The impugned judgment before us of the same High Court approved of the conclusion of the aforesaid judgment, but with completely different reasoning. 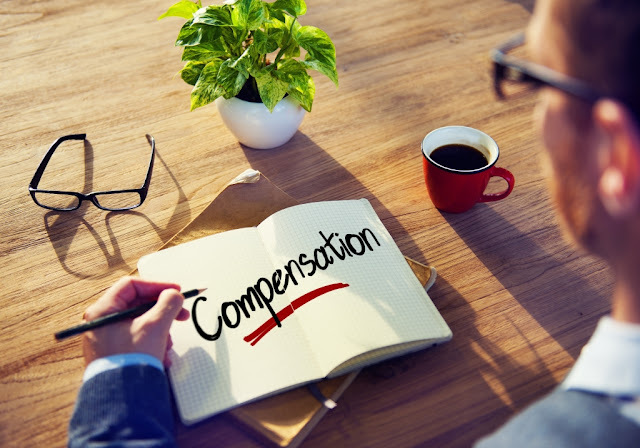 According to the Division Bench, “compensation” is not a “sentence” and this being the case, would not be covered by the proviso to Section 421(1). This would make it clear that since compensation is otherwise recoverable, despite the default sentence having been undergone, ultimately, a warrant can be issued under the first part of Section 421(1). 22. In K. Vemmana Shenoy v. Collector of South Kanara, AIR 1964 Mys. 64, a Single Judge of that High Court adverted to the amending Act of 1923, by which a substantial change was made to Section 386 of the Cr.P.C., which made it clear that the offender should not be made to pay fine as well as undergo imprisonment in default of payment of the fine in the absence of special reasons to be recorded in writing. The learned Single Judge held that Section 70IPC read with Section 386(1) proviso would necessarily lead to the conclusion that in the absence of special reasons to be recorded in writing, the fine cannot be recovered after the offender has undergone imprisonment in default of payment. 24. Following paragraph 28.10, the words “or unless it made an order for the payment of expenses or compensation out of the fine under Section 357” was added to the proviso which was contained in old Section 386(1) and continued in Section 421(1). Provided that Section 421 shall, in its application to an order under Section 359, by virtue of this section, be construed as if in the proviso to sub-section (1) of Section 421, after the words and figures ‘under Section 357’, the words and figures ‘or an order for payment of costs underSection 359’ had been inserted.” Section 431 makes it clear that any money other than a fine payable on account of an order passed under the Code shall be recoverable as if it were a fine which takes us to Section 64 IPC. 27. These two judgments make it clear that the deeming fiction of Section 431 Cr.P.C. extends not only to Section 421, but also to Section 64 of the Indian Penal Code. This being the case, Section 70 IPC, which is the last in the group of Sections dealing with sentence of imprisonment for non- payment of fine must also be included as applying directly to compensation under Section 357(3) as well. The position in law now becomes clear. The deeming provision in Section 431 will apply to Section 421(1) as well, despite the fact that the last part of the proviso to Section 421(1) makes a reference only to an order for payment of expenses or compensation out of a fine, which would necessarily refer only to Section 357(1)and not 357(3). Despite this being so, so long as compensation has been directed to be paid, albeit under Section 357(3), Section 431, Section 70 IPC and Section 421(1) proviso would make it clear that by a legal fiction, even though a default sentence has been suffered, yet, compensation would be recoverable in the manner provided under Section 421(1). This would, however, be without the necessity for recording any special reasons. This is because Section 421(1) proviso contains the disjunctive “or” following the recommendation of the Law Commission, that the proviso to old Section 386(1) should not be a bar to the issue of a warrant for levy of fine, even when a sentence of imprisonment for default has been fully undergone. The last part inserted into the proviso to Section 421(1) as a result of this recommendation of the Law Commission is a category by itself which applies to compensation payable out of a fine under Section 357(1) and, by applying the fiction contained in Section 431, to compensation payable under Section 357(3). “if you are bidden to treat an imaginary state of affairs as real, you must surely, unless prohibited from doing so, also imagine as real the consequences and incidents which, if the putative state of affairs had in fact existed, must inevitably have flowed from or accompanied it. One of those in this case is emancipation from the 1939 level of rents. The statute says that you must imagine a certain state of affairs; it does not say that having done so, you must cause or permit your imagination to boggle when it comes to the inevitable corollaries of that state of affairs”. 29. The legal fiction enacted under Section 431 is not limited to “the purpose of this Act” unlike Section 6A of the Central Sales Tax Act, as was the case in Ashok Leyland Limited v. State of Tamil Nadu, (2004) 3 SCC 1 at para 32,76. Thus it is clear that the object of the legal fiction created by Section 431 is to extend for the purpose of recovery of compensation until such recovery is completed - and this would necessarily take us not only to Section 421 of the Cr.P.C. but also to Section 70 of the Penal Code, a companion criminal statute, as has been held above.